Grandpa’s War Pony is a book I wrote for my grandchildren to explain what a WW2 jeep was and how it was used. Perhaps the greatest instrument of war to come out of the Second World War and forged into something still in use today is arguably—the 1/4-ton reconnaissance car or jeep. 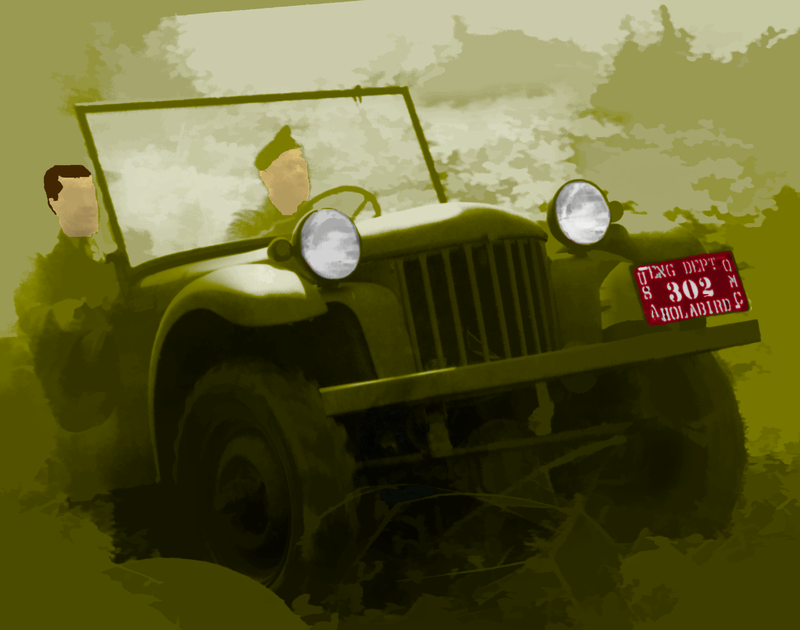 The jeep during WW2 was a new and speedy little vehicle designed to get in and go where motorcycles couldn’t go. It was the baby of a little company called American Bantam Car Company and the U. S. Army’s Infantry Branch. The book is filled with colorized photos that have been stylized in a “cartoon” manner to help maintain children’s interest. I was pleased to hear that a good friend had received this book from his family for Christmas. He really liked the book. While it is too late for Christmas this year and perhaps too early for next year–you might like to get this book now. It is great for kids of all ages or anyway with an interest in WW2 jeeps.